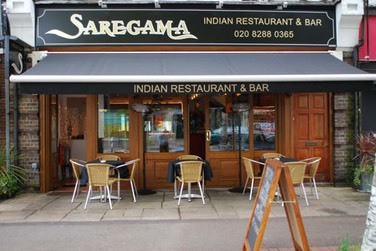 "The most popular Indian Restaurant in the area"
This the the most popular Indian restaurant in the area and once you try out the cuisine, recline in comfort and experience the charming service, you can see why. Deal: Main courses start from �5.95 and side orders from �2.10. Sunday Buffet is good value at �8.95 (adults) and �7.95 (children). Are they pleased to see you? There is always a warm welcome, whether you're with kids or not there is a friendly handshake and genuine greetings. Early dinner is best if you go with children as it gets really busy. A great, eclectic selection of Indian cuisine from the mild to the very exotic and spicy. Beautifully presented and piping hot, its always served with panache and there's something for all tastes. The Peshwari Nan, with sweet almond and coconut flavours is particularly heavenly! No way, they have many vegetarian dishes. Mushroom Biryani is highly recommended. None in particular as its only a small, independent place, but small portion of rice, naan and creamy korma are ideal for the children. They also have the cutest kiddie ice-creams which have a secret toy concealed inside. Definitely! On a nice night you can even dine outside under the canopy with gas heaters in case it gets cool. Kids verdict - "Yummy papadums and massive napkins!"